Making a business successful has never been the easiest thing in the world, but around 100 years ago, all it really took was some hard work and maybe an ad in the local newspaper. Unfortunately, those times are gone, and for a small business owner who only has hard work and newspaper ads on their side, failure is a likely outcome. Internet marketing is the current front line, and search engine optimization (SEO) is the main tool in that fight. SEO methods are meant to move a website higher up on search engine rankings, but it's essential for a business owner to understand exactly why this is important. One of the best reasons to use search engine optimization is the fact that it can help get rid of competition. The simple truth is that the majority of Americans never venture past the first page of returned results on search engines. This means that if a business's website, especially one for a local product or service, doesn't land near the top of returned results, they're likely to never be seen. Statistics now show that the Internet is more important than ever before. Studies have repeatedly proven that between 90 and 97 percent of all individuals who make local purchases start out by searching for a business online. This means that if a company isn't seen, then they're not likely to be patronized. As expressed by one Atlanta SEO company, "Choosing the right keywords to top rank for is a lot more than simply choosing words you ‘think’ are important. Done the right way, SEO keyword research is an art that can uncover the true potential for your company." An increase in sales is almost a given with SEO techniques. As previously mentioned, these methods can cause customers to never even know that a company's competition exists. This means they'll come to the website that they were able to find and make their purchase with that company. Regardless of whether SEO techniques hide competition or just make it easier to find a certain company, the methods are bound to increase sales. 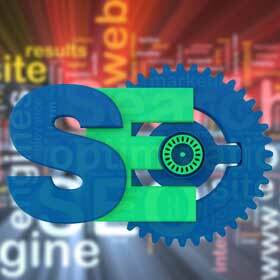 Another beneficial outcome of SEO is the fact that it increases a company's brand visibility. There's no doubt that having a website ranked high on search engines will lead to more people finding the company and thus its brand. For increases in brand recognition to be successful, however, it's also important to incorporate social networking into an SEO plan. Keeping up to date social media sites, and networking to gain maximum followers, will definitely get noticed by search engines. This can cause a social media site to rank right up there with a company's actual website; and when potential customers land on a company's social media site, they can get an immediate feel for that brand. Instead of repeatedly paying to have radio, television and newspaper ads run, which can be expensive, a company can pay to have their site optimized for search engines. Realistically, how could it get any cheaper? There are business owners out there who are on the fence as to whether or not they need SEO in their marketing plan, but if they know all of the aforementioned benefits and still choose not to use the method, they might as well pack in their business now. In the age of the Internet, a company cannot survive without a web presence. Unfortunately, not having an easy to find web presence is almost as bad as not having one at all. Those who make the decision to implement SEO practices will quickly learn that it's one of the greatest marketing moves they've ever made. If you are in the SEO game then you have probably heard this many times – get quality links to your site. Having quality backlinks will help your site become more trustful and increase your page rank. Even having just some quality links on your site can positively change your ranking. Are you in a niche that’s so damn competitive no one’s willing to link to you? If so, the Little Big Horn strategy of link building might just be your answer. These are the lessons of search engine optimization. SEO can be difficult to understand, but all hope is not lost. You can learn how to best optimize your site, and we can help you. Here are a few tips for you, taught by examples taken straight from Star Trek. Google’s consistent updates to their search algorithm have become a thing of legend, with an average of 2-3 updates per month so far this year, and each one of them affecting some 12-40% of search. When we’re looking at SEO and what we need to do in order to achieve as high a place in Google’s rankings for our keywords as possible, it is easy to forget that Google is a business with consumers to satisfy.